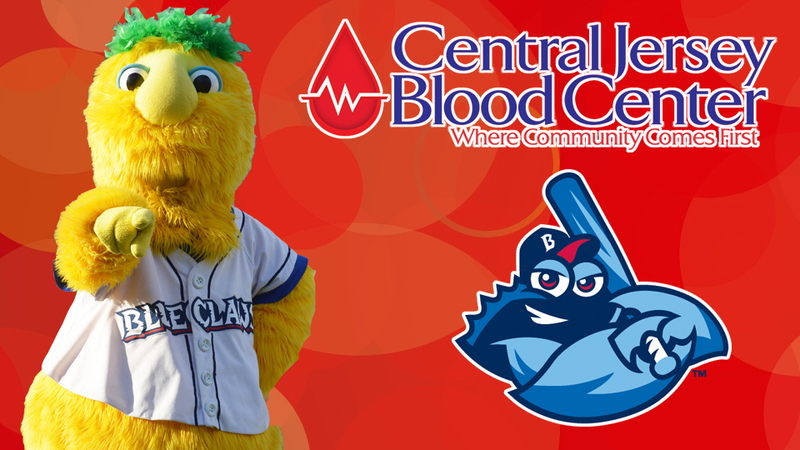 LAKEWOOD, NJ - The BlueClaws and Central Jersey Blood Center are teaming up for a blood drive on Saturday, July 29th from 7 am - 2 pm at FirstEnergy Park.The drive will take place in the BlueClaws Executive Conference Center and each donor will receive a pair of tickets for a 2017 BlueClaws game. The BlueClaws encourage all fans to donate as the supply of blood needs to be replenished at this time. While walk-ins are accepted, donors are encouraged to pre-register. To sign up, call 888-71-BLOOD or click here to register online. Don't Forget: Please eat before donating. All equipment used during the procedure is sterile and disposable. Donors must be healthy, be at least 16 years of age and weigh at least 120 pounds. Donors must present signature ID. The BlueClaws are the Jersey Shore's top stop for affordable, family entertainment. They have led the South Atlantic League in attendance in all 16 years of existence. 2017 BlueClaws single-game tickets, ticket packages and group outings are currently on sale by calling 732-901-7000 option 3 or online at BlueClaws.com.